That’s right. If you use a Study Guide 2.0 program for at least 120 hours of study time, and then fail your test / board exam, we’ll give you the next annual product update free [x-1]. We are so confident of our study guides and review products that we offer a pass “guarantee” on them. We are in the business of keeping you at your best, now and for your entire podiatric medical career. If you don’t succeed, neither do we. Our programs are proven to be effective for traditional, alternative boards and PMLexis preparation material. Whether it is certification, re-certification, qualification, state licensing or Maintenance Of Certification [MOC], we’ll get you prepared quickly. We’ve been helping podiatrists prepare for and pass required board exams in all major specialties for more than two decades. Enjoy hundreds of exam-styled Q&As, and customized study guide content, covering every essential topic for your sub-specialty examinations. We individualize content and cover what’s on your exam and also provide a wealth of continuously updated and weighted information long after you’ve passed your exam. 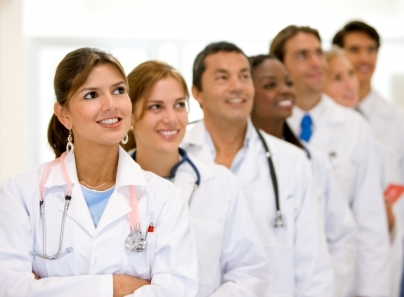 We provide state-of-the art customized programs for all major sub-specialties; however in each case we tailor the breadth and depth to each specialty’s own board examination blueprint. We also make sure course materials emulate each exam in study guide and/or Q&A style and format. You are always a click away from your course content. Work and enrich yourself by our SaaS styled programs. Our SaaS based electronic study guides are perfect for podiatrists living mobile and fast-paced lives. Other board review courses make you pay a hefty fee for a single year of online access to content …. then the server crashes! Instead, we provide keep-forever .PDF or text-file programs with continually-updated board and exam review activity. Compare and you’ll see that in the end, our products give you everything you need to prepare and pass almost any podiatry board examination / test that we track. Our standard board review programs, with comprehensive study guide library, provide a wealth of knowledge in a searchable format. 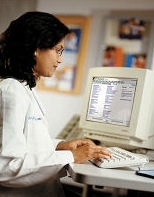 Always purchase genuine Podiatry Prep software by FARC, Inc. I agree. A CD-ROM [buy and keep] platform is the safest, most secure and stable way to go. Per unit – it is the most cost-efficient, as well. Thank you so much for your telephone call and help. As I mentioned, we would like to order a copy of the Podiatric Surgery (Q&A) CD-ROM and set your company up as a vendor. I am attaching a W-9 and all the necessary paperwork for same. I purchased the PodiatryPrep study guide for the oral boards in surgery, and passed! Why not Free PodiatryPrep Products? Q: Why don’t you give away your products for FREE, and charge advertisers on your web site and blog? A: Our main goal is to help doctors pass any podiatry board on the first attempt. We often tell clients that we aim to help them thru their entire practice life cycle, and to sell them CDs only as necessary; not after test failures and re-takes. You purchase our CDs; you do not lease them using some cheesy subscription-based model, with time bomb! You keep them forever. But, we are not a CD vending machine for those who do not wish to study conscientiously for the boards. This is not a cheating scam or diploma mill, and we can’t give away products for free. However, we do offer discounts for product suites and reductions for medical students, residents, fellows and bulk orders. Our continually updated and customizable intellectual property has high utility and extreme value. We must pay steep licensing fees to third parties to write code on their proprietary operating systems, platforms, etc. This is why we have no MAC products from Apple, Inc. Their OS-X Leopard license is just too expensive for a small market opportunity like podiatry. Thus, we can’t take financial risk without expecting reimbursement; just as you expect payment from your patients. And, we hope you realize the value and extreme worth of our independent, unbiased and un-bought business model. Today, in the era of healthcare reform, and electronic connectivity, the “advertiser-driven” business model is last-generation and suspect. Unfortunately subtle advertising bias is everywhere and may increasingly be subject to ethical and legal challenges. So, please beware the posers and imitators. NOTE: Proof of failure required with 120 hours of preparation X2 CDs. Our CDs or SAAS programs are available from the comfort and convenience of your own home, office or meeting room with PC. Meet your specific test prep needs via customization. Whether you purchase a Comprehensive Library Study Guide using PDF files and transcript — or Interactive QA Programs under MSFT-WINDOWS XP, you’ll get the information you need on your schedule. 2. Keep learning after the exam. Every program purchase includes additional study materials so you can keep learning long after your board exam test is over. 3. Use for Continuing Education. Save time studying for state or national CEU credits. Gather around a computer and enlighten your entire team for one low price. Do you work with a virtual team or multiple locations? Ask our customer specialists about discounts for your entire podiatric medical or surgical team, school, clerkship, internship, residency or fellowship training program. You asked? How we are different? 1. A totally unique study guide and library product – psychometrically driven and updated. 2. Buy and keep user model – not a 12 month time bomb subscription service. 3. Use anytime – anywhere on your own PC. Remote servers are never down. 4. More secure and safe. 5. Make your own folders and rename or refile as you wish [easy-moderate-difficult concepts, etc]. 6. Customized to you with small surcharge. Not an off-the-shelf product. 7. Product backed “Guaranteed to Pass”. Data mined algorithyms. 8. We started the industry; imitators are a decade behind. Now, using any or all of our products, along with any others, might be a good strategy. One can never study too much. And, using other texts, books, guides, journals, seminars, etc … can’t hurt, either. These tests are TOUGH. NOT responsible for other “faux” seminars or “poseur” products. The National Board of Podiatric Medical Examiners (NBPME) is doing a practice analysis update for the Part III Examination. The purpose is to ensure that the test specifications of the APMLE Part III examination reflect current activities in the field. An online survey is designed to elicit input from licensed professionals about the APMLE Part III Examination. The results of the study will be used to update the current Part III examination blueprint. It is open to all currently licensed podiatrists. You are asked to document the specific tasks performed, their relative importance, and the knowledge or skills necessary to do them safely and successfully. It will take approximately 20 minutes to complete the survey. Your completed survey should be submitted by Monday, February 2, 2015 (8:00 PM EDT). Your participation is important to the profession. In February 2016, I’m sitting for recertification for the American College of Foot and Ankle [forefoot surgeons]. Which course would I get. Thank you. We have a special version for you; with the new-wave cognitive hybrid oral-written QAs, too. Invoiced thru PayPal and delivered by secure email. Contact us privately to obtain YOUR email and name, etc. • Pass all podiatry board certification, state licensure and maintenance of board re-certification exams–guaranteed! (See Pass “Guarantee” tab for more info). I need to take California license exam APMLE Part III. i have been out of the field for 15 years, and at 70 years old want to reactivate my license. What preparation product do you have that would serve my needs? Understood – and not to worry. We have exactly what is needed. But, a customized version requires an extra day or two to prepare, and a $50 surcharge in this case. Moreover, it will be a large quantity of material. Study guide content, CBT scenarios and EBM info, test tips, PPT sides and QAs; etc. We deliver by secure email and invoice thru PayPal. Allow at least 120 hours of study time. All sales are final. Please advise. Get ready to pass the American Board of Foot and Ankle Surgery (ABFAS) Reconstructive Rearfoot/Ankle (RRA) Surgery exam. Receive questions developed and reviewed by ABFAS certified Podiatrists in RRA Surgery. The ABFAS Rearfoot and Ankle Study Guide follows the exam content outline for the American Board of Foot and Ankle Surgery (ABFAS) RRA Surgery Part 1 and Part 2 Certification Exams. Note that being Board Certified in Foot Surgery is a prerequisite to taking the reconstructive rearfoot/ankle surgery. The ABFAS RRA exams are getting very difficult and cover very specific topics given the limited scope of the exam. While Part 1 of the exam covers diagnostics and operative care, Part 2 is focused strictly on interpreting clinical information, making diagnostics and planning treatments. Many of the concepts on the exam are topics that you have encountered in your practice [CBT – CPC – Cognitive styles Qs], so be prepared for these more esoteric cases. The questions are case-structured and very comprehensive [ie., difficult]. Do you know the rate or depth of compression for an infant? Use our quick review/cheat sheet to make sure that you don’t forget critical CPR information that you might need to know sooner than you think. Every podiatrist needs to know CPR. Reduce study time by using our CPR Review sheet and increase your level of preparation for medical emergencies. Improving your ability to learn and to learn faster will accelerate your progress as you study for your test. ◦Being prepared for the unexpected and staying focused on exam day. Our “Tips and Pearls” Study Skills teach you everything you need to know about studying, so that you can maximize the effectiveness of the time you spend in preparation and are guaranteed to get the results you deserve on test day. “Tips and Pearls Study Skills” is an in-depth, comprehensive study manual and is included completely free along with your regular purchase of a study guide for any podiatry exam/licensure test or MOC, etc. Do you get really nervous before important tests? If so, you could be suffering from a mild form of what’s known as test anxiety. This feature will help neutralize test anxiety. The way to get the test score that you deserve is by proper preparation. That includes knowing both what to study and how to study. Our e-study guides will teach you what you need to know, but our Study Skills Tips and Pearl bonus file will show you HOW to use it to be successful as you prepare for your Board Exams. Test Wiseness Study Skills teaches you everything you need to know about studying, so that you can maximize the effectiveness of the time you spend in preparation and are guaranteed to get the results you deserve on test day. Tips and Pearls Study Skills is an in-depth, comprehensive study file and is included completely free along with your regular purchase order. Think you’re ready for the Board exams? Test yourself using our practice test questions. Find out if you’re prepared or if you need to head back to the included content files for another review. Use our practice test questions to make sure that you’re not caught off guard on test day! Our practice test questions give you the opportunity to test your knowledge on a set of questions. You can know everything that is going to be covered on the test and it will not do you any good on test day if you have not had a chance to practice. Repetition is a key to success and using practice test questions allows you to reinforce your strengths and improve your weaknesses. Detailed Cognitive Questions with Detailed answers and explanations are included for each question. It may sound obvious, but you have to know which questions you missed (and more importantly why you missed them) to be able to avoid making the same mistakes again when you take the real exam/test. That’s why our cognitive practice test questions include detailed answer explanations. These in-depth answer explanations will allow you to better understand any questions that were difficult for you or that you needed more help to understand. 1. Memorization and QAs will only get you so far. Today, modern question writers are specifically instructed to avoid testing easily-memorized facts. The exam’s goal is to test understanding of podiatric, orthopedic and medical science; not recall. Few questions will ask you to simply name a disease, procedure, pathogen, or enzyme from memory. It’s more likely you will be asked to apply a concept to an unfamiliar scenario, something that’s very difficult to do purely from recall. While memorized facts may help to some degree, you will do much better if you to understand WHY a memorized fact is important rather than just the fact itself. 2. There are lots of experimental questions that don’t count toward your score. The boards need questions that “discriminate” among strong and weak test takers. The best questions are answered correctly by students who score highly on the test overall, and answered incorrectly by students who perform poorly. These allow the boards to separate students into groups that can be assigned a score. To find good questions, many experimental questions are placed throughout your test to collect data. Lots of these are later thrown out because of poor performance. For example, we once saw a question that less than five percent of test takers answered correctly. It was ultimately thrown out, but only after a few hundred students answered it for data collection purposes. Many of those students probably left their exam ruminating over this question. Experimental questions like these can account for as many as 20 percent of your exam, and they don’t count toward your score. 3. About half of the questions on boards are relatively easy. The boards need a range of question difficulty to spread students out in terms of scores. All questions cannot be brain twisters. Even though super-difficult questions are much discussed among test-takers, not every question is like this. About half the questions on all board exams are straightforward. If you put in solid work to prepare, you will get these questions right. 4. More than 90 percent of what you study will not appear on your exam. You can pound podiatric facts, figures, formulae and biologic-adjuvants into your brain only to see no questions about them on your test. With only a few hundred questions, the boards cannot even come close to covering every potential topic. When you begin to study, do your best to understand everything. But as the test gets near; don’t worry if one particular topic is giving you trouble. It likely won’t appear on your exam. 5. Reading comprehension and vocabulary skills are important. One way to avoid language errors is to read questions carefully. So, develop solid reading and vocabulary skills. These are skills you can’t obtain by drilling flash cards, reading a computer screen or watching videos. Some students neglect our printed content files now that video and online cloud based subscription on-line learning services are available. This is a huge mistake. Test makers employ authentic experts that use scientific words and sophisticated vocabulary just like in the exams. The best students over the years have been avid readers of textbooks, journals and our voluminous copy-righted study content files; in addition to QAs ……. Do not neglect our content study files. Test makers employ authentic experts that use scientific words and sophisticated vocabulary just like in the exams. The best students over the years have been avid readers of textbooks, journals and our voluminous copy-righted study guide content files; in addition to mere QAs ……. Do not neglect our content study guide files.